Today is my pay day! ;) Stopped by at our office to get my pay check. It was scorching hot today! omg. 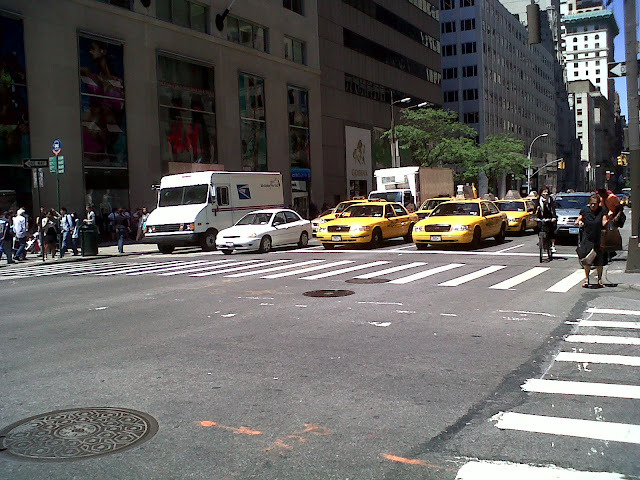 It's really fun whenever I'm alone walking in the streets of Manhattan. I just love it! Went to Saks 5th ave, St. Patricks Cathedral (to pray), and H&M... hihi. oh, and I was really starving so I bought this Spicy Chicken McBites at McDonald's. YUM!